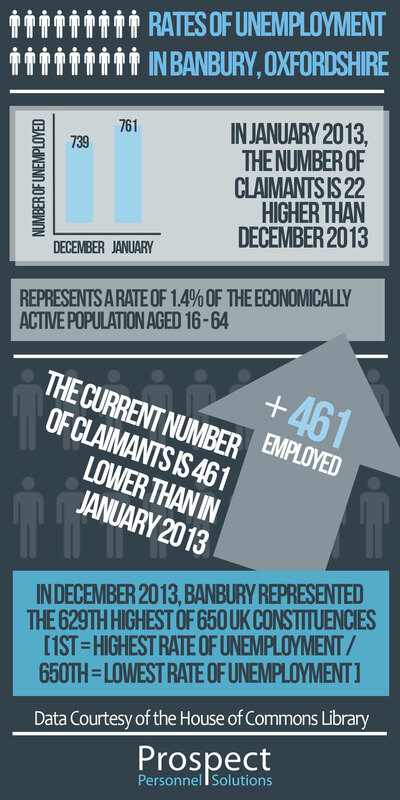 The number of JSA claimants in January 2014 has risen from December 2013. 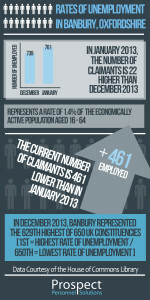 However, it is not all bad news as the current number of claimants is 461 lower than this time last year. See the rates of unemployment for January 2014 below. If you are looking for jobs in Banbury and surrounding areas, please contact the team here at Prospect Personnel today.